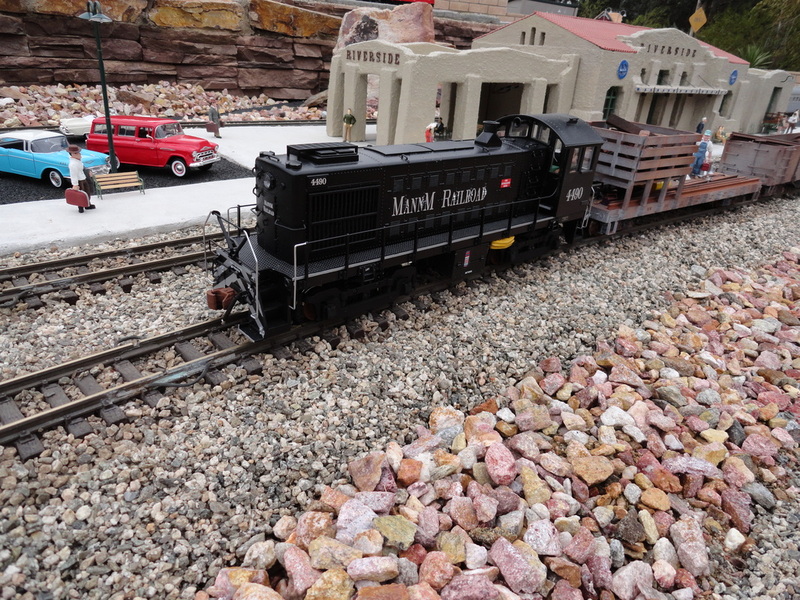 This locomotive started out as a USA Trains Rio Grande S4 that was converted to the MANNM Railroad. The plan for this engine is to lead the MANNM Railroad's excursion train. The paint scheme is based off Santa Fe's zebra stripes and the decals were made by Stan Cedarleaf.